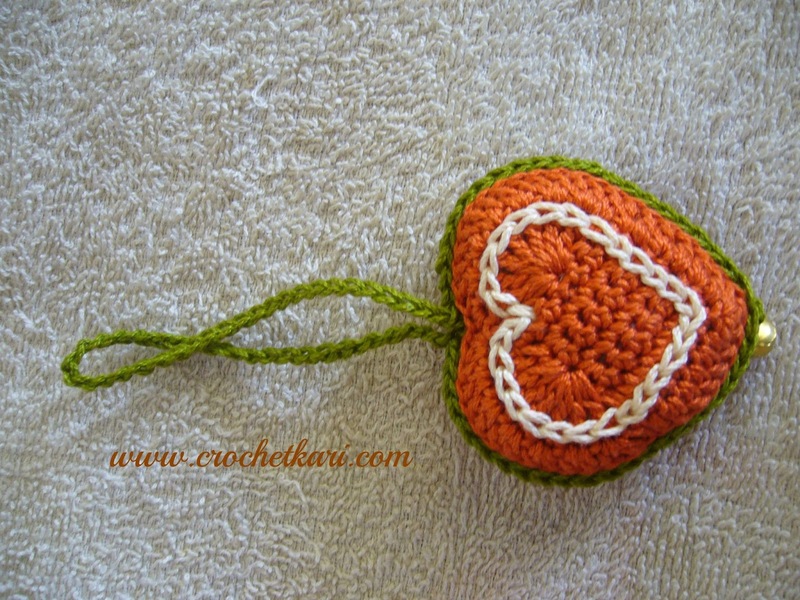 Finally I am back with a crochet post. 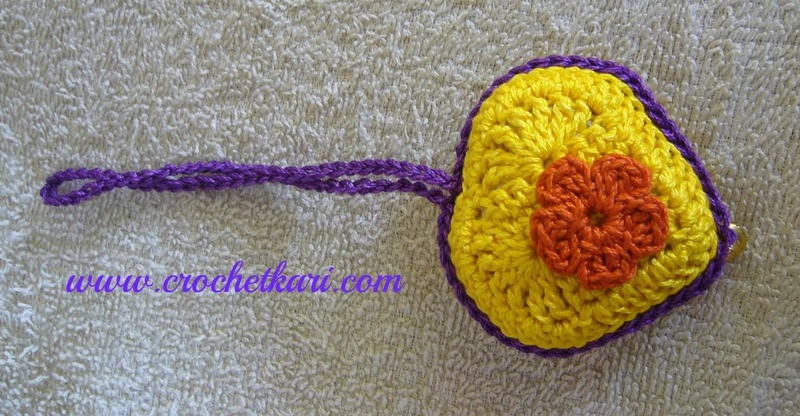 At present I seem to be on a scarf making spree but today I am going to share something different. 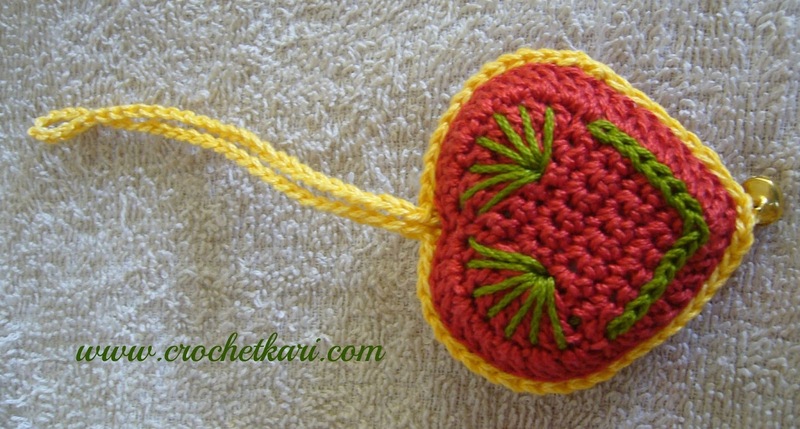 Recently my physiotherapist Dr. Vrushali saw one of THESE hearts hanging from the strap of my purse and she liked it so much, she promptly placed an order for a few. Dr. V had asked for six, but I made eight so that she can pick and choose. But guess what, she ended up buying all of them!! 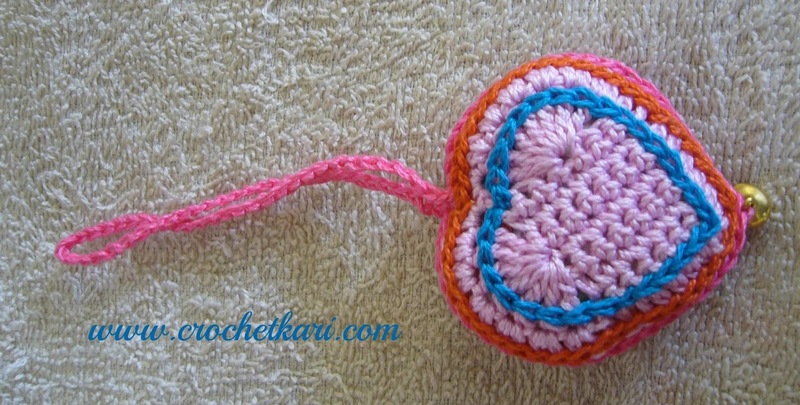 Making these hearts was fun, but do you know what was even better! Getting paid for making them!! Yes, the mere thought that somebody likes your handiwork and is ready to pay you to make them is wonderful. Hmmm..... like having your cake and eating it too?! 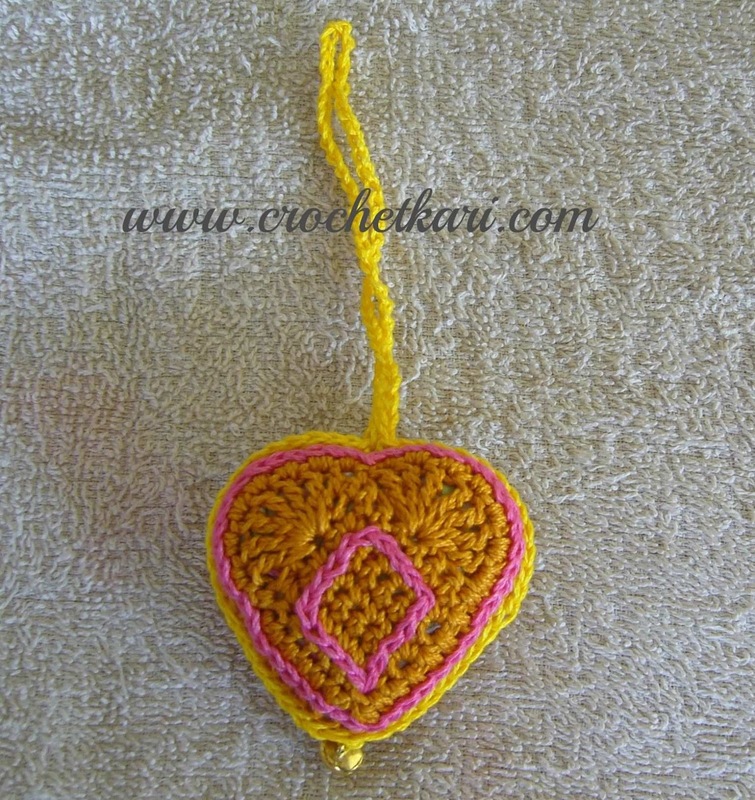 You can see the first hearts I made and get the link to the free pattern HERE. 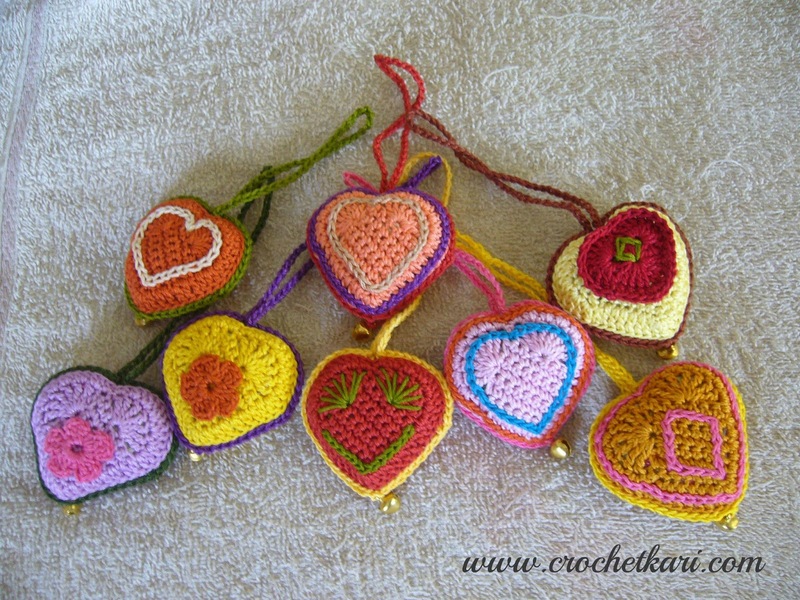 I will be making another batch of crochet hearts in Christmas colours, so if you would like to have a set, just drop me a line. See you soon with another fun project (also a custom order). Until then happy crafting. P.S. Expect a book tour soon as I am dying to play with my new toy - a Canon scanner. Your hearts are so cute. 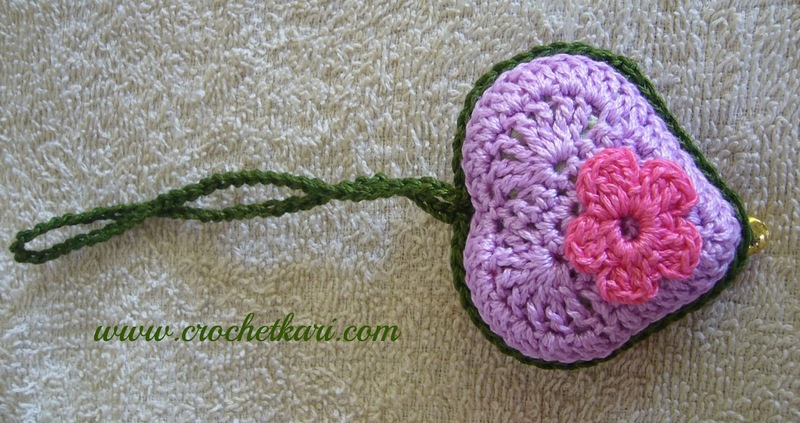 Some day I will make some hearts for me, too. Hey they are pretty! The cluster of hearts look very cute. Have you stuffed them with fibre? The hearts are lovely. I hope you get many orders. 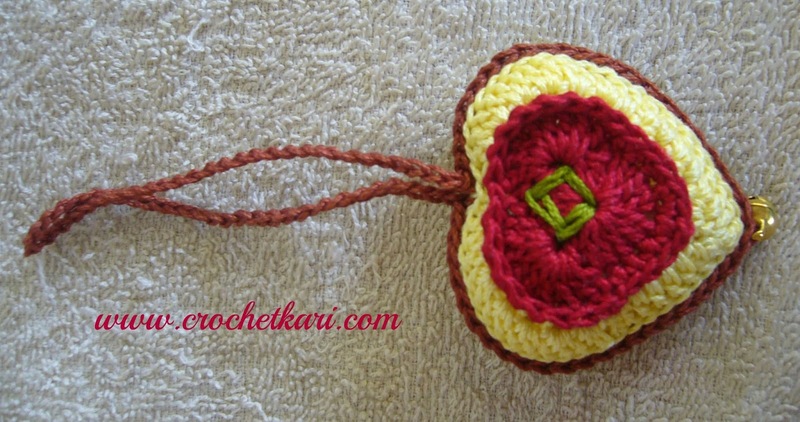 Sangeetha, I loved all the hearts. Very pretty! I am sure your heart too must be just as beautiful if not more! I sincerely hope you get many more orders for the wonderful creations. 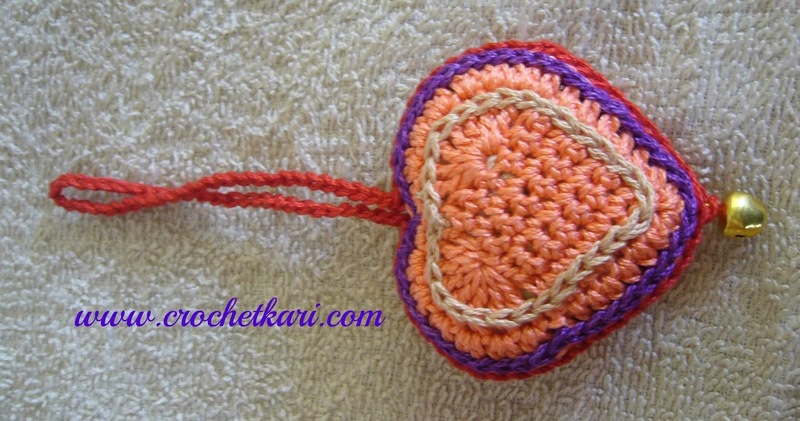 These hearts are really funky and colourful. Super-cute! Very sweet hearts. I pinned them.